The Nintendo Switch now has its first “passive 3D” headset lined up for release. 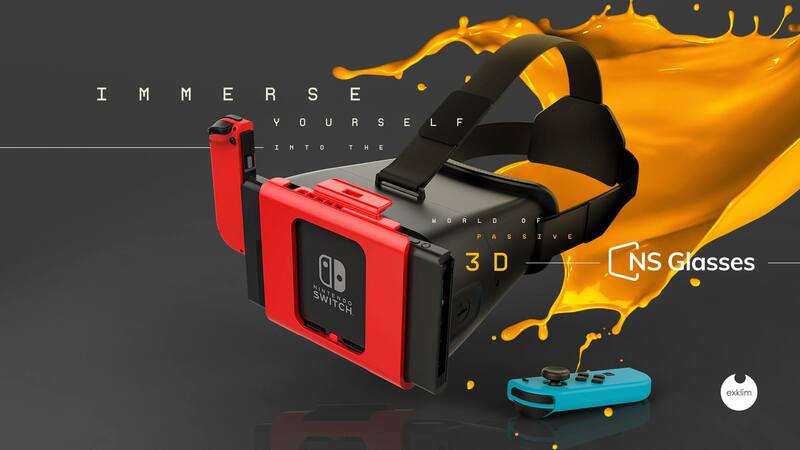 Called NS Glasses, it’s based on color switching technology and compatible with all existing Nintendo Switch games. The device also features a “pixel smoothing” effect which should help with the low resolution (usually 720p) used by the Nintendo Switch in handheld mode. It’s being developed by exklim, the Canadian startup behind the failed eX Core Kickstarter campaign for a portable external graphics docks. Immerse yourself into the world of Passive 3D! NS Glasses lens comes coated with Color Switching Technology tuned into a specific pattern that brings games to life. Pre-orders are supposedly coming soon, but in the meantime, you can sign up for the newsletter and get a 50% off coupon that will let you purchase NS Glasses for $50. This obviously suggests that the headset is otherwise priced at $100. We’ll let you know once this peripheral gets a concrete release date.